Owing to shortage of special services to Sabarimala, despite the rising number of pilgrims each season, the Kerala State Road Transport Corporation (KSRTC) has plans to promote ‘chartered services’ this season. According to officials concerned, the decision was taken keeping in mind the success of chartered services introduced in the last season. As part of the services, pilgrims, who come as a group, can hire a KSRTC bus by remitting a fixed amount. “The advantage of this system is that large groups of pilgrims, who come from various parts of the country, no longer need to wait for a particular bus to get filled. 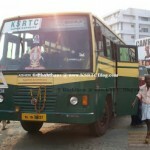 The KSRTC can get an assured income from the services,” said T A Kunjumuhammed, district transport officer, Kottayam. According to him, chartered buses will be operated from the Kottayam railway station and the KSRTC bus depot. “This season, `6,825 will be charged for a chartered service from Kottayam to Pampa. Pilgrims from any part of the country can make use of the system. The pilgrims can chart their return trips as well,” he said. The system was introduced, taking into account the difficulty of getting seats filled for each schedule. “The usual phenomenon is that we have to leave 4-5 seats vacant for each service, as pilgrims who come in groups wait for another bus, if they do not get sufficient number of seats. We cannot bear further loss, as each bus usually collects around `20,000 if operated in usual schedules,” said a top KSRTC official. The KSRTC has made elaborate arrangements to commence special bus services for pilgrims from major bus stations to Pampa and Erumeli during the forthcoming Mandala-Makaravilakku season. In addition, the KSRTC will also operate special bus services from Chengannur, Kottayam, and Ernakulam railway stations to Pampa and Erumeli for the benefit of devotees coming by various trains. A special bus service will be operated to Pampa from any of the bus stations if there is a minimum of 45 pilgrims. The KSRTC will deploy only new buses for the special bus service and has decided not to use buses that are more than three years old. 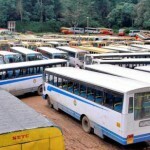 As many as 70 new buses will be given to the Kottayam depot alone, against a total of 58 new buses in the previous year.